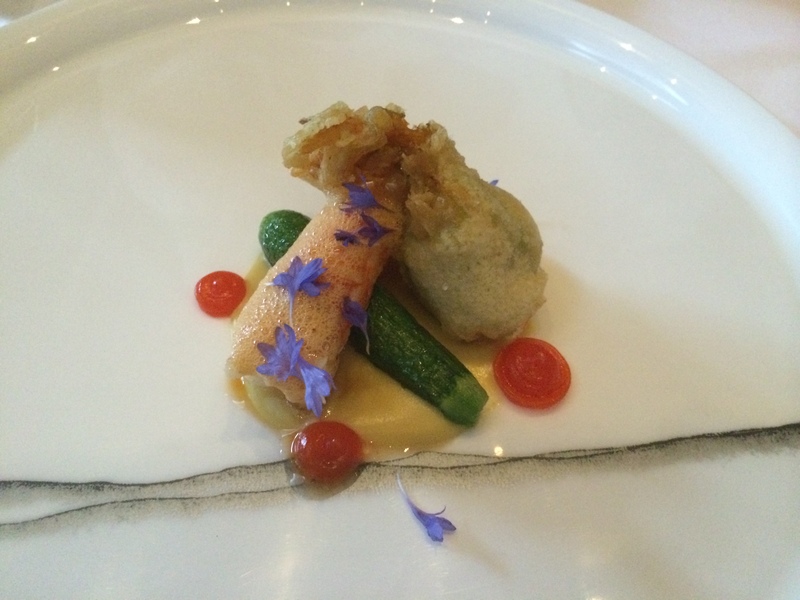 Providence – best restaurant in LA? Providence has been rated as perhaps the best restaurant in Los Angeles by some prominent food critics. So I was curious as to how good it can be. 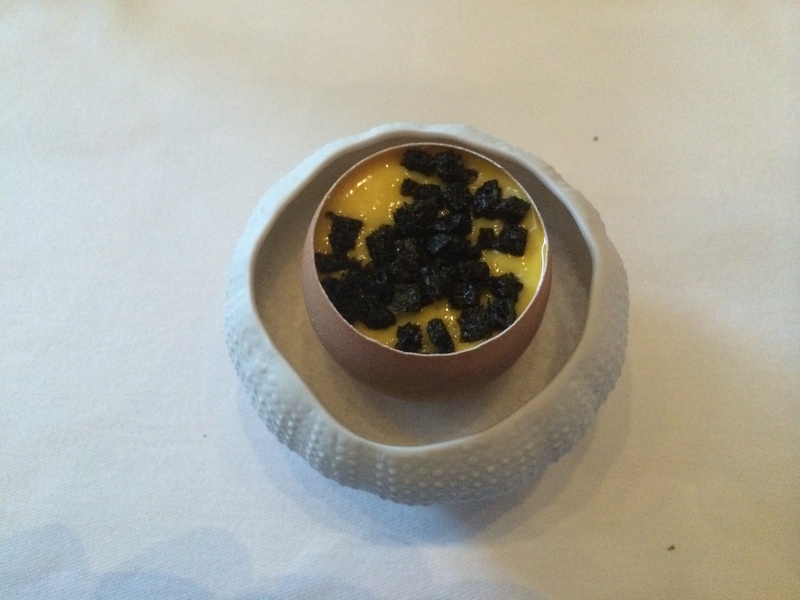 I was a bit hesitant to try after my disappointment with Melisse, a high end restaurant with similar set menus. Nevertheless, I decided to give this place a try. I was able to find street parking since I arrived there before 6pm on a Sunday evening. 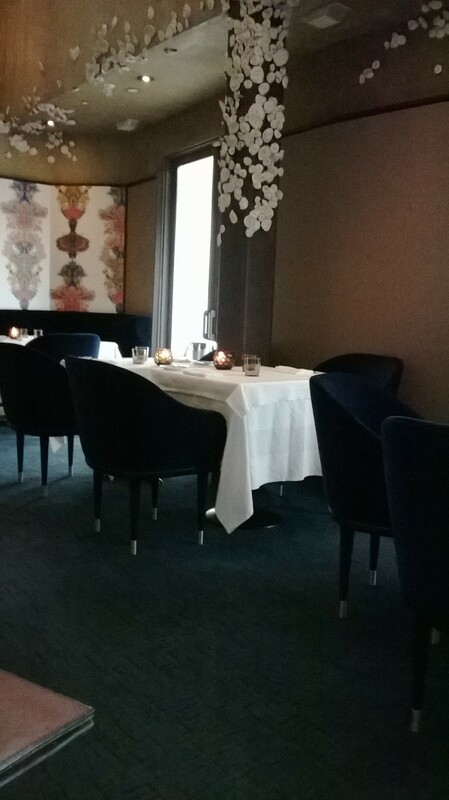 The restaurant was recently remodeled but did not look feel and look that new. The first waiter was extremely friendly and explained the menu to me patiently while I was waiting for my eating companion. I did not want to have sashimi this particular evening, and I was told that I could substitute a lobster dish instead – that lobster turned out to be one of the best dish for the night. I must say that the chef is very talented in combining complex flavors and textures, and to have them all worked harmonious with each other. There were 2 amuse-bouche that arrived before the dinner set – one was a ginger flavored jelly, and the other a crunchy vegetable taco. 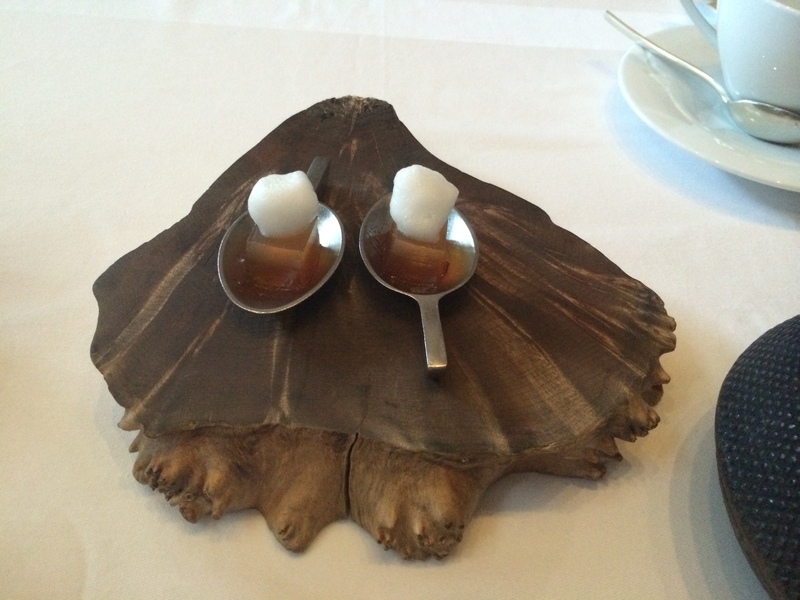 Both were excellent as far as taste and textures. The Uni Egg arrived hot, creamy and rich. 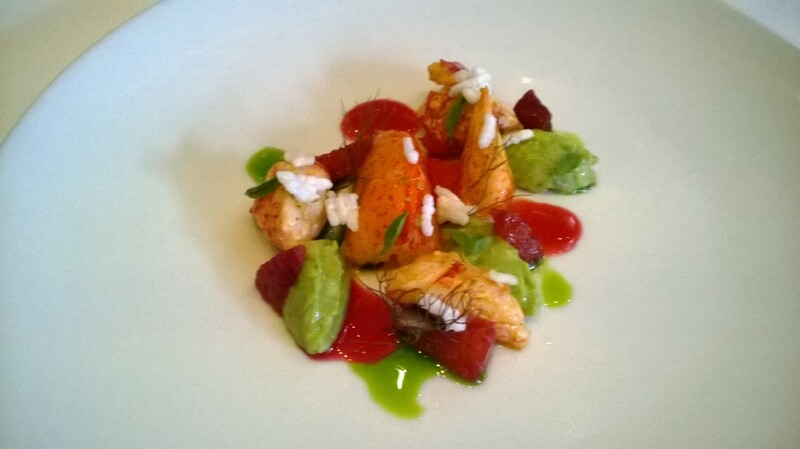 While not a big fan of prawns, I thought the Spot Prawn was cooked to perfection. 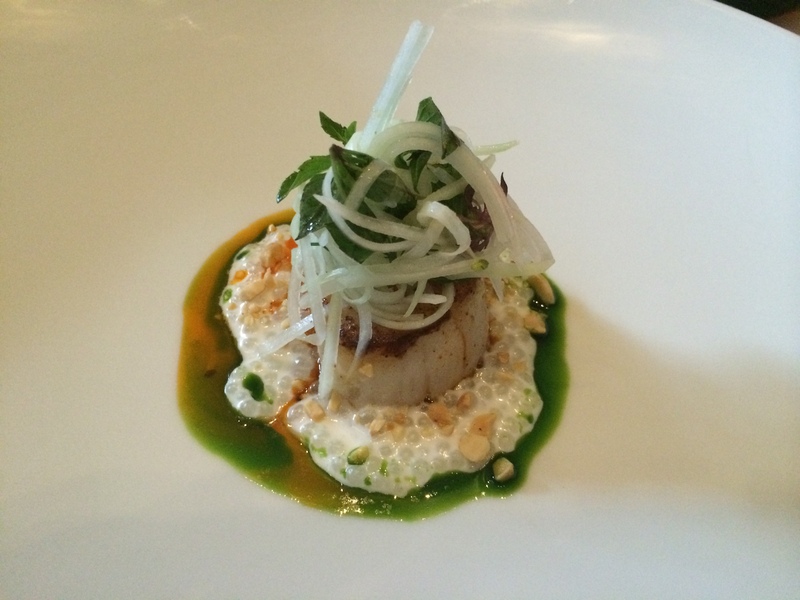 The Sea Scallop was huge and was well done – exactly the way I preferred. 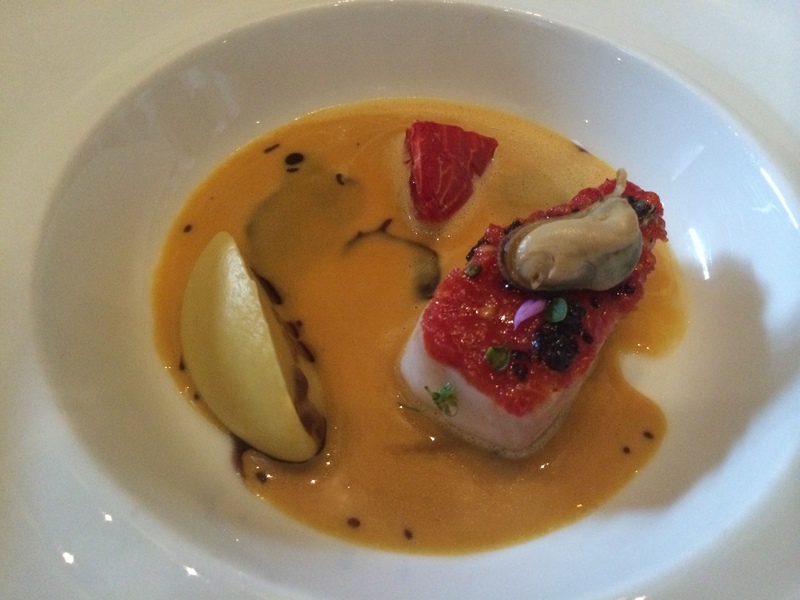 The Striped Bass was the only dish that I did not enjoy, there was a muddy taste to the fish, so I did not finish it. Aside from being delicious, the Duck Breast was executed in the precise manner that I had requested – well cooked again, but still moist with a crunchy outer crust. The King Salmon that my companion ordered was a bit on the small side, but he thought it was really good. 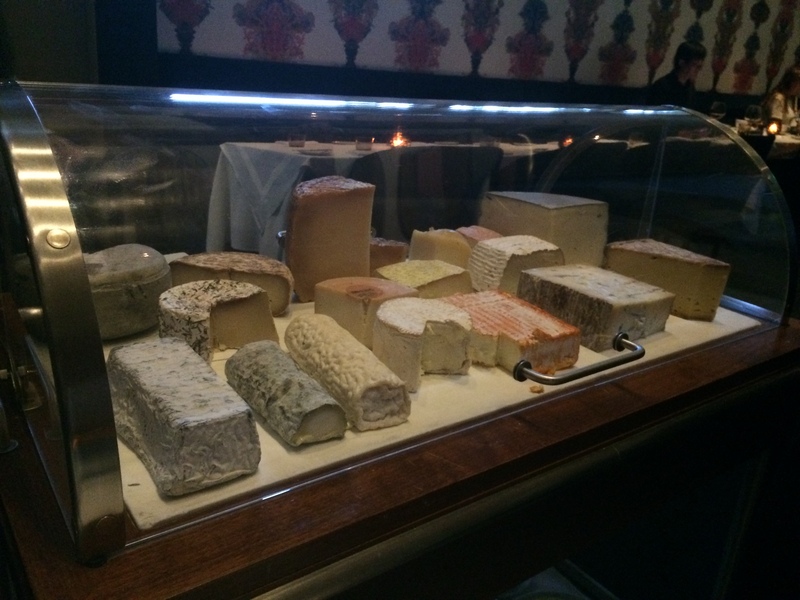 There must have been at least 15 different varieties of cheese in the cart that the server pushed out to our table. She asked which types of cheese we would prefer, from strong to moderate to mild. I asked for 1 strong cheese and a variety of moderate to mild ones. She proceeded to cut out small sections of about 6 different cheeses, and there were some candied walnuts and thin slices of bread and jams for accompaniment. Everything went together quite well. 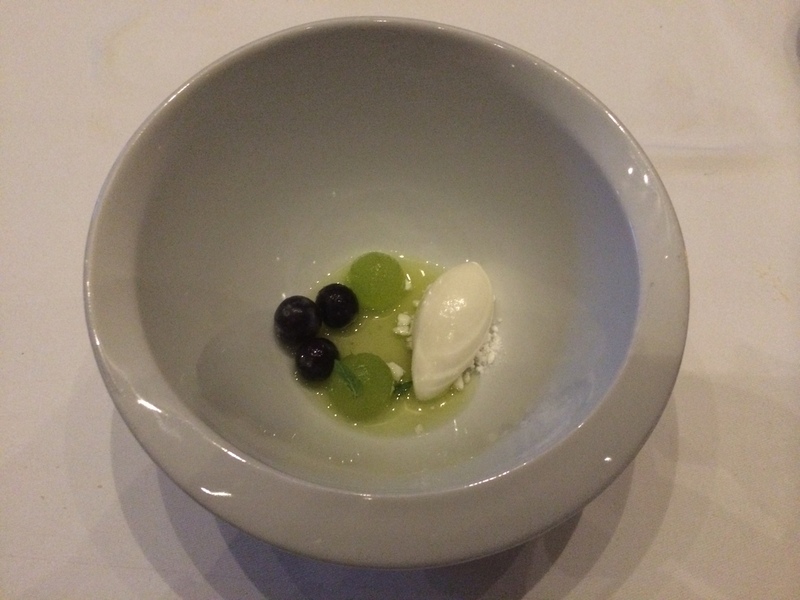 There was a pre-dessert consisting of an ice cream and grapes, and berries – quite refreshing.The Chocolate Marquise was good but was not as creamy and rich as I had wanted. 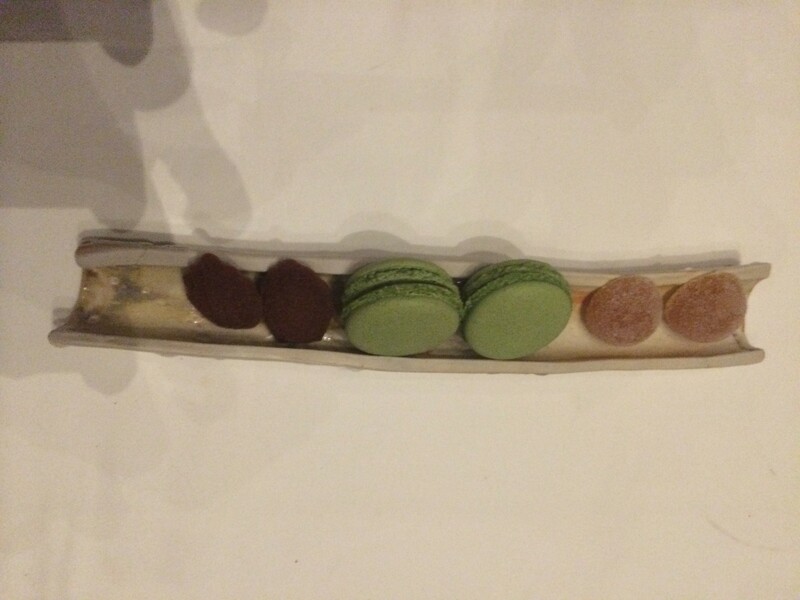 The meal was finished with macarons, a sweet jelly, and a small cookie. Food wise, I would say it is perhaps one of the best as far as presentations, taste, textures, flavors. Unfortunately, when I went to the restroom, the sink was plugged up with water almost filled to the top, so I was unable to wash my hands. I told the waitress about the situation, and she seemed a bit annoyed, and proceeded to take me to another unisex bathroom down the hallway. As I was washing my hands, the water was starting to build up and was not draining well. I was very surprised that a restaurant of such caliber does not have a sink that drains well.